The Sangamon Mass Transit District (SMTD) announced today that new booklet-format Passenger Guides are now available to the public. The new publication replaces the decades-old folding maps that SMTD has used since the 1960s. "Over the years, we have heard complaints that the maps and schedules were too large and too difficult to refold and reuse," said Steve Schoeffel, SMTD’s Service Planning & Marketing Specialist. "After discussing several options, we came to the decision that the booklet format would work the best." In addition to the maps and schedules and a few pieces of information squeezed onto the old maps, the Passenger Guide contains much more detailed information on everything from night service to local college campus stops to a page dedicated to points of interest throughout the area. "The new Passenger Guides give us the opportunity to give passengers and the public in general easier-to-read schedules and maps, information on how to ride and other, more-specialized facts about bicycle policies and how SMTD is an environmentally-friendly choice for transportation, just to name a few," Schoeffel continued. SMTD is already looking ahead to future editions. "With our coming move from Fifth and Capitol to the new, off-street Transfer Center and all of the changes that will cause, future editions will hopefully include bus stops along each route, detailed transfer information and more information on new technology being implemented over the next year," he added. "It’s an exciting time at SMTD, and we hope we can provide plenty of information to our passengers to manage smooth transitions to new sites, new technology and new routes over the next two years so they can fully enjoy the improvements as well. 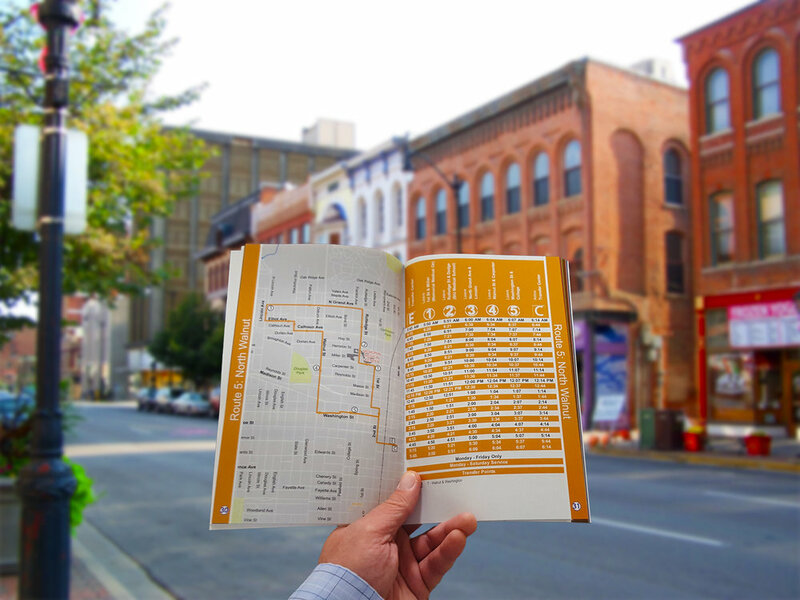 The new Passenger Guides are a first step in that information distribution effort." Passenger Guides will be available beginning in the next couple of days from Road Supervisors at the Transfer Center, at SMTD’s offices at 928 S. 9th Street and later this week at locations around Springfield where you can purchase tickets. An electronic version is available here.